Tropical Creations will develop a design for your interiorscape or follow your existing layout or Blueprint. 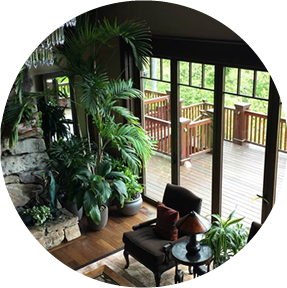 We know you will be pleased with our expertise and knowledge in the field of interior plants. With our free consultation and proposal, we are ready to provide you with a beautiful interiorscape and quality service. 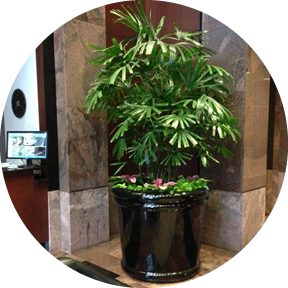 Our interior plant services include free on-site consultation and Design with Layout, plant installation and maintenance including our Guaranteed Plant Replacement Program. We will visit your location and help to put together a design that fits your needs and your budget. With input from you on people traffic patterns, colors, space and lighting to get the best design possible. Once your new plants are installed our maintenance staff takes over and maintains everything for you. 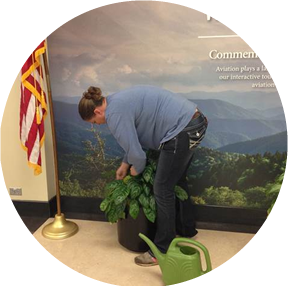 Interior plants are a living breathing plant so our maintenance staff focuses on maintaining regular visits. Our well trained staff follows a maintenance program that ensures that your plants are watered, pruned, dusted and overall cared for on a schedule that meets both your needs and maintains the plant at their optimum health.